The migration crisis facing Europe didn’t unfold overnight. For weeks, the world’s eyes have been fixed upon the tens of thousands of migrants and refugees arriving on the continent’s doorstep seeking safety, stability or a better life. 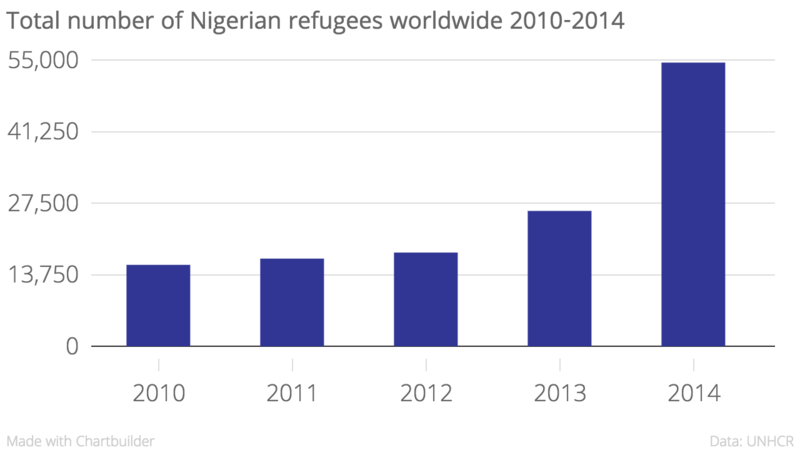 But the crisis was years in the making, with a brutal civil war in Syria adding millions of refugees to those fleeing from conflicts elsewhere, including Afghanistan, Iraq and Nigeria. It is the scale of the crisis that is so extraordinary, the worst the world has seen since the mass migrations triggered by the end of World War II, when an estimated 20 million were displaced across Europe. “This is a primarily refugee crisis, not only a migration phenomenon,” António Guterres, the United Nations High Commissioner for Refugees, said this month. On Tuesday, the European Union voted to distribute 120,000 asylum seekers among its member nations, and the Obama administration has pledged to admit 10,000 Syrian refugees. But that is only a fraction of the numbers arriving on Europe’s borders. Nearly 478,000 people have made the perilous journey across the Mediterranean Sea so far this year, according to the U.N., more than double the total from 2014 — 219,000. We took a look at the toll conflicts have taken on five countries that are contributing nearly three quarters of those seeking refuge in Europe — Syria, Afghanistan, Nigeria, Iraq and Somalia. While migrants from other nations may be fleeing repressive regimes and political persecution or seeking better economic opportunities, the people from these countries are fleeing civil wars and insurgencies. Syrians make up more than half of the people who made the treacherous journey across the Mediterranean Sea this year, according to U.N. data, and the reasons are manifold. 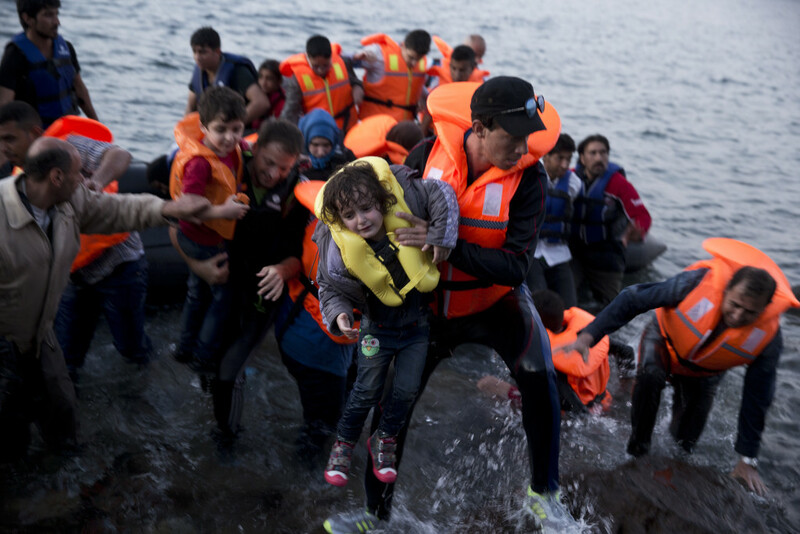 “Refugees reaching Europe are the ultimate result of massive policy failures: the failure to stop the Syrian war, and the failure to give adequate support to neighboring countries,” explained Joost Hiltermann of the Crisis Group in a recent policy brief. Despite making up more than half of those traveling to Europe, a majority of Syrian refugees — more than 90 percent, according to the U.N.’s estimates — have actually sought refuge elsewhere. Syria’s immediate neighbors — Turkey, Lebanon, Jordan and Iraq — have absorbed nearly 4 million Syrian refugees as of this month. Lebanon — which has a population of around 4.5 million — hosts more than a million, making one in five people there a refugee. Turkey shelters nearly 2 million refugees. “Sitting in a desolate camp in Jordan or northern Iraq, or living in cramped quarters in Beirut, Amman or any other town in the region, without services, seeing international aid dwindle and with no education for their children, the average refugee will soon start plotting a way out,” Hiltermann wrote. The U.N. launched an appeal at the end of 2014 for $7.5 billion to deal with the humanitarian crisis in Syria and across the region, but donations fell short by $5 billion this year. This month, the U.N.’s World Food Programme said funding shortages had forced it to halve the assistance it provided to nearly 1.3 million Syrian refugees in the Middle East. More than 360,000 refugees in Jordan and Lebanon would stop receiving food assistance altogether, it said. 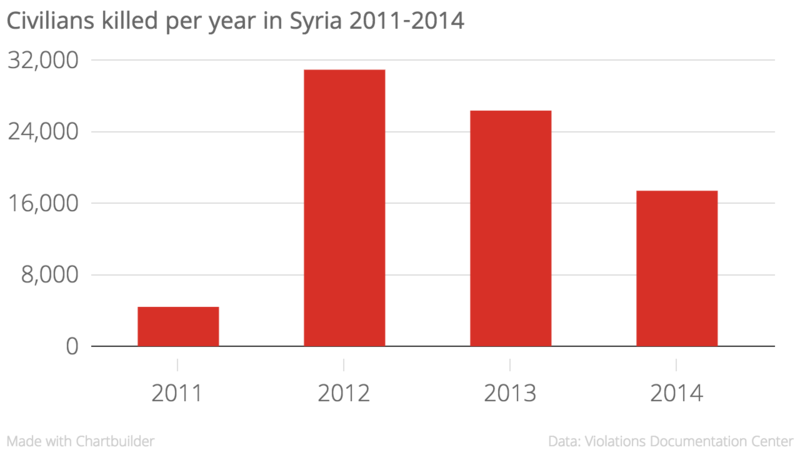 Within Syria, the situation is worse. Around 7.6 million Syrians remain displaced inside the country, with no end in sight to a war that has dragged on for four-and-a-half years and killed a total of more than 200,000 people. At least 88,000 of those killed have been identified as civilians, who face death on a daily basis from all sides fighting in the conflict. The New York Times broke down the way in which many of them have died: 28,277 in shootings and mass killings; 27,006 in artillery or rocket attacks; 18,866 in government air strikes or indiscriminate “barrel bomb” attacks; and at least 984 in attacks using toxic or chemical substances. Still others have faced siege and starvation conditions, or died because of lack of medical care. The devastation has contributed to a sense of hopelessness, voiced by Syrians in several news reports. “They lose hope in Syria, and they lose hope that the international community will create a solution for Syria,” one Syrian activist told BuzzFeed. The next largest group of people risking their lives this year to reach Europe — 13 percent — come from Afghanistan. 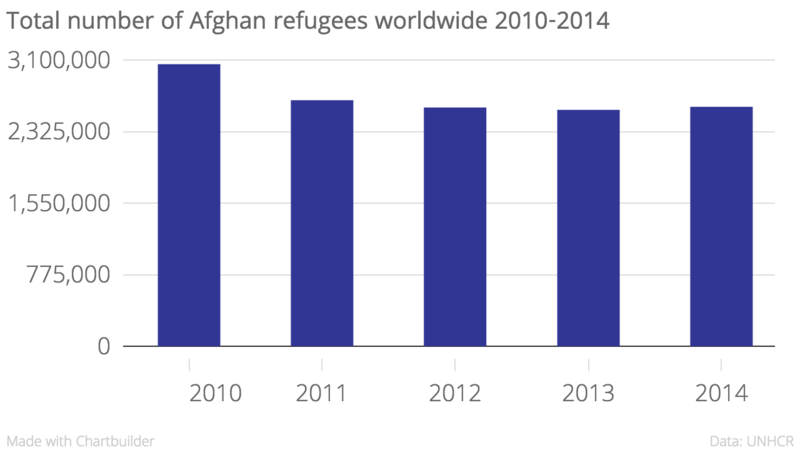 Until Syria’s civil war forced half of the country’s population from their homes, Afghanistan was the world’s largest source of refugees for three consecutive decades. It remains the second biggest contributor to the world’s refugee population, with 2.6 million Afghans displaced outside their country. The flight of Afghanistan’s people has not gone unnoticed by the nation’s Refugees and Repatriations Ministry, which according to The Atlantic, has launched a social media campaign urging its citizens to remain in Afghanistan and help rebuild. But the ministry’s mission may only grow more challenging in coming years. Civilian casualties have risen as the country’s security forces have taken over the fight against the Taliban from withdrawing foreign troops. Up to 3,700 civilians were killed last year, and more than 6,800 were wounded, the highest numbers since the U.N. began counting in 2009. 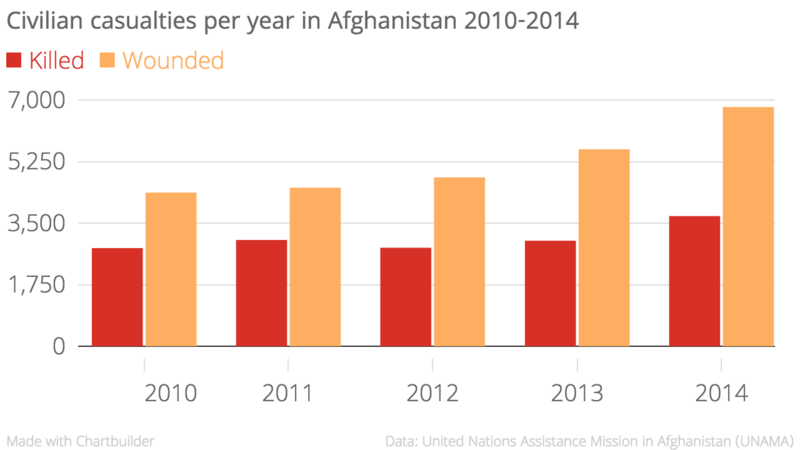 The number of civilians wounded or killed in Afghanistan this year is expected to equal or exceed the record high numbers documented in 2014, according to the U.N. While America’s official combat mission in Iraq officially ended in 2011, deadly bombings that targeted civilians never really came to a stop. 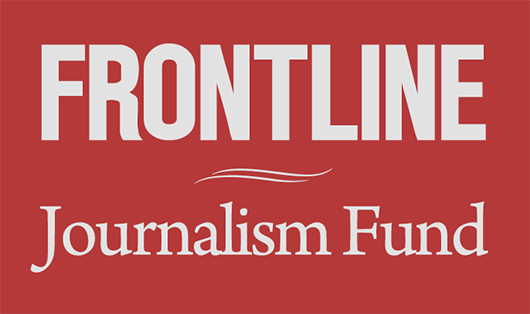 Suicide bombers affiliated with extremist groups like ISIS have carried out a relentless campaign, driving up civilian casualties even before its dramatic seizure of Iraqi territory in June 2014. 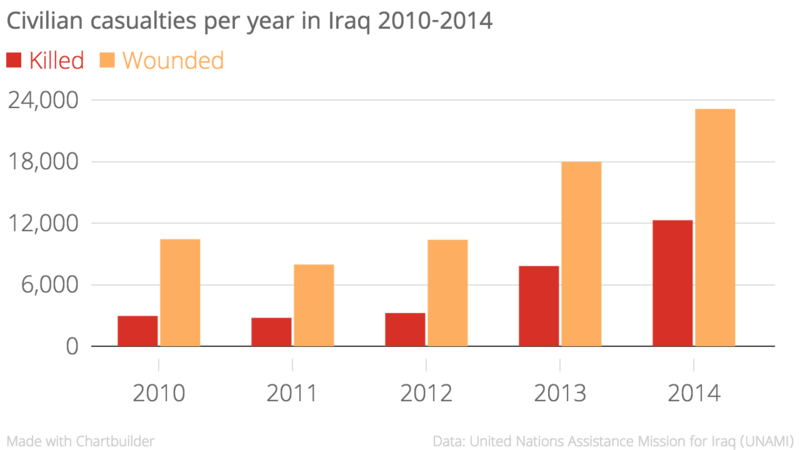 Last year saw the number of civilians killed jump 56 percent, from 7,800 to more than 12,200 people, according to the U.N.’s mission in Iraq. 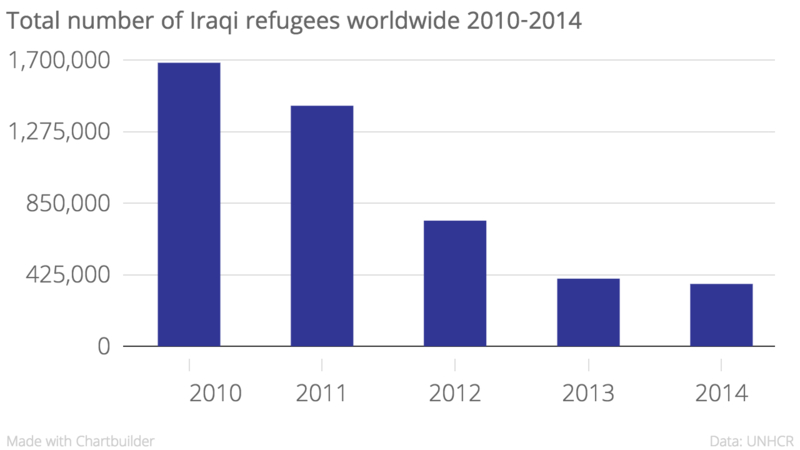 Although Iraq saw its own refugee population steadily decline over the last five years as citizens were repatriated, Iraqis still made up 3 percent of those making the journey across the Mediterranean this year. At the same time, the surge in violence there has led to massive internal displacement, with nearly 3.2 million Iraqis displaced within the country as of this month, according to the International Organization for Migration. 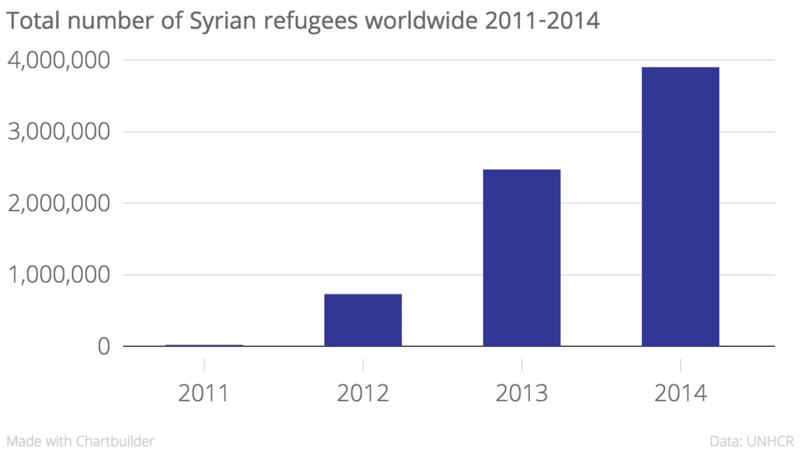 The country has also faced a massive influx of refugees from neighboring Syria — 249,463 as of August. Nigerians make up 3 percent of those making the crossing to Europe this year. Like the countries above, Nigeria has been dealing with a brutal insurgency carried out by the group Boko Haram. The last couple of years saw a big escalation in civilian deaths as Boko Haram carried out lethal attacks in remote villages and suicide bombings in cities. While not all of these deaths can be attributed to Boko Haram, more than half of the 6,000 civilians killed in Nigeria in 2014 are thought to have died at Boko Haram’s hand. 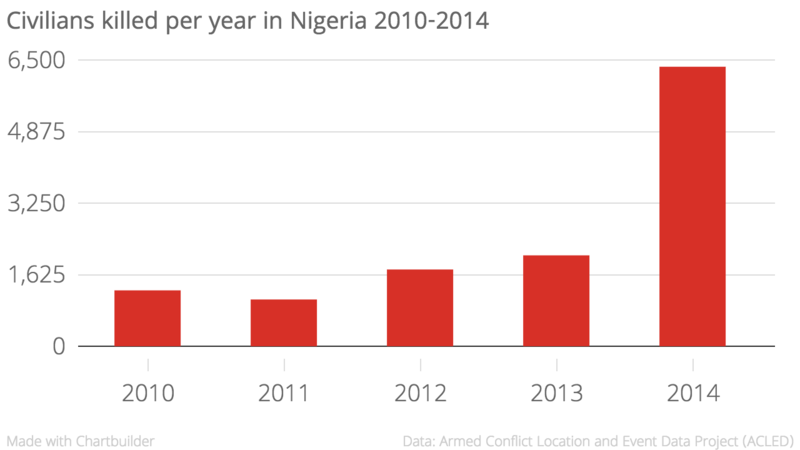 The ferocity of Boko Haram’s attacks has only escalated in 2015, with reports of entire villages being razed. Boko Haram’s attacks have also displaced half a million children in northeast Nigeria and neighboring countries just in the last five months, according to the U.N.’s children agency, UNICEF. But it’s not just Boko Haram. Civilians have also been captured, tortured and killed by Nigeria’s security forces in their hunt for members of the insurgent group. 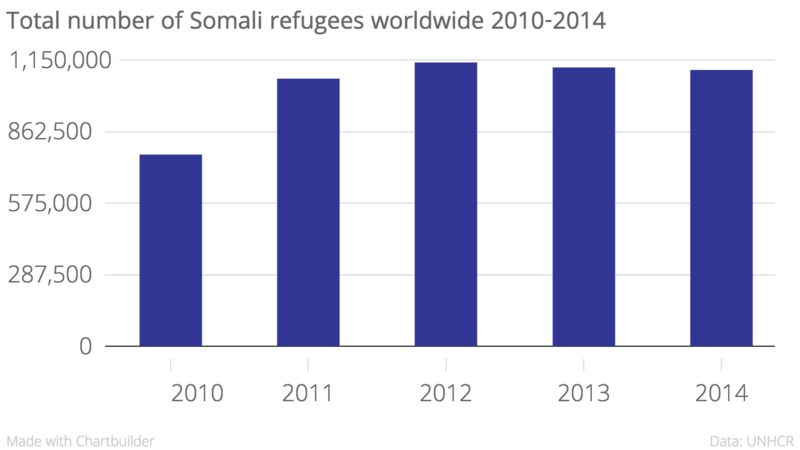 Somalia has been among the top contributors to refugees worldwide for several years following its civil war in the 1990s, with more than 1 million Somalis seeking refuge outside the country as of 2014. Roughly 2 percent of those crossing the Mediterranean Sea for Europe this year are Somali refugees. 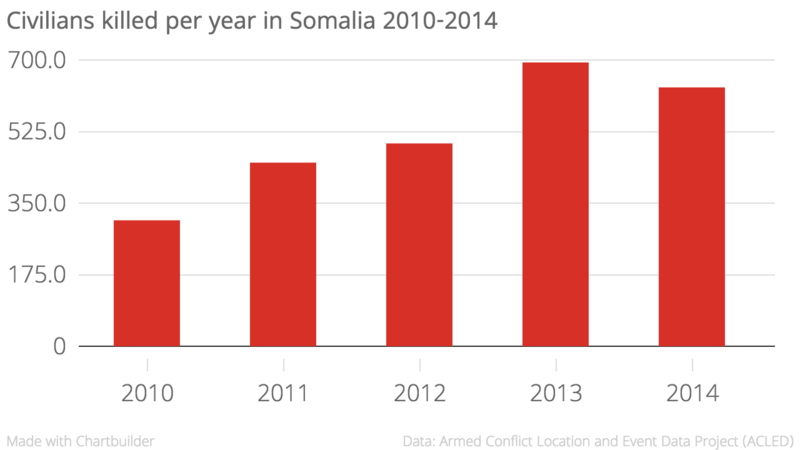 Al Shabaab, a militant group affiliated with Al Qaeda, has carried out a deadly insurgency in Somalia, despite losing many of its key strongholds.